Looking for storage under $100 a month? A self storage unit might just be an empty room, but it’s surprisingly expensive. Just a 10×10 foot room can run a renter over $130 a month, and that’s not including climate control or other amenities — check out our storage cost calculator for estimates. 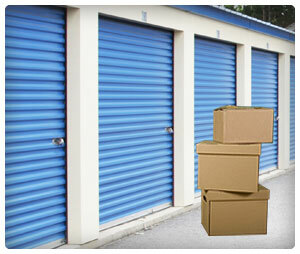 Look Far – If you can find a storage facility on the outskirts of town, it’ll probably have cheaper rates. If you can find one in the middle of nowhere, even better. Sell Stuff – If the only reason you need to get a 10×15 foot unit instead of a 5 x 10 is your couch, sell the couch, whether at a yard sale or online. Learn about how to sell stuff. Embrace Inconvenience – It’s a fact of life — convenience costs money. If you take the third floor unit rather than the first floor one, or if you get the normal unit rather than the one with heating, you might be able to save up to $50 a month, depending on the size of the unit.